Amox TR-K CLV is the generic name of a penicillin antibiotic known as Augmentin. It can be used to treat viral infections such as the common cold or flu as well as pneumonia, sinusitis, strep throat, bronchitis, skin infections, urinary tract infections and ear infections. The following is important information to be aware, including side effects and precautions when taking it. As mentioned, it is a generic for the penicillin antibiotic Augmentin. 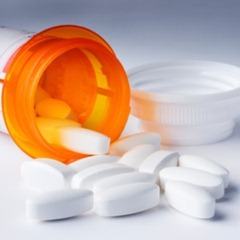 Augmentin has clavulanate potassium and amoxicillin, of which amoxicillin is one of the antibiotics that belongs to the group penicillin and fights bacteria. Clavulanate potassium is a type of clavulanic acid, a substance similar to penicillin and fights bacteria, specifically those that are usually resistant to antibiotics including penicillin. Amox TR-K CLV treat a variety of infections due to bacteria including skin infections, urinary tract infections, bronchitis, ear infections, pneumonia and sinusitis as well as other purposes. What Are the Side Effects of Amox TR-K CLV? It has many possible side effects, some of which are serious and others which are not. If you experience any of these side effects, especially serious ones, immediately stop using the medication and see your doctor. The less serious side effects can include a vaginal yeast infection (accompanied by discharge or itching), white patches in the throat or mouth, itching or a skin rash, headache, nausea or vomiting and stomach pain, gas or mild diarrhea. Serious side effects include a severe skin reaction, jaundice, clay-colored stools, dark urine, loss of appetite, itching, upper stomach pain, nausea, seizure, unusual behavior or thoughts, confusion, agitation, muscle weakness, pain, numbness, severe tingling, bruising, skin rash, easy bleeding or bruising, weakness, confusion, fever, yellowed or pale skin and watery or bloody diarrhea. It is also possible to have an allergic reaction which would include swelling on the throat, tongue, lips or face, difficulty breathing and hives. What Are the Precautions for Amox TR-K CLV? Before you start, you should consider several things and talk to your doctor about this information mentioned below. Also you should pay attention to some notes when taking this. You should not use it if you are allergic to these penicillin antibiotics. You should let your doctor know if you are allergic to any cephalosporin antibiotics including cephalexin (Keflex), cefuroxime (Ceftin), cefprozil (Cefzil) and cefdinir (Omnicef). Do not use it if you have mononucleosis, kidney disease or liver disease including a history of jaundice or hepatitis or if you are pregnant. Amox TR-K CLV should not cause any harm to your unborn baby but it is still important to inform your doctor of your pregnancy. Do not use the medication if you are nursing and do not rely on birth control pills while on it as it can reduce their effectiveness. You should always inform your doctor of any additional medications you are taking. This is especially important if you already take a different antibiotic or a blood thinner like warfarin (Jantoven, Coumadin), probenecid (Benemid) or allopurinol (Zyloprim). You should also mention any over the counter medications as well as vitamins or herbal products. If you have any lab tests while on Amox TR-K CLV inform your doctor that you are on the medication as it can cause false results at times. It is important to remember that it is possible for antibiotics to cause diarrhea as this can indicate a new infection. If your diarrhea is bloody or watery, you should immediately stop taking it and talk to your doctor. You should never use a medication designed to stop your diarrhea unless your doctor specifically tells you to do so. If you a miss a dose take it once you remember. If, however, it is near when you take your next dose, skip the missed one and do not take extra medication. In some cases overdose may occur, of which symptoms include hyperactivity, drowsiness, skin rash, diarrhea, stomach pain, vomiting and nausea. If you experience any of these, immediately seek emergency medical care. Always store the tablet form away from heat and moisture and at room temperature. The liquid form should be stored in the refrigerator and should be thrown out after 10 days. You should always take it exactly as your doctor prescribed and follow the directions from the prescription label. This means you should never take it longer than prescribed or increase or decrease the dosage. If you change the type of tablet you take including extended release, chewable or regular, you should always be sure to only use the strength and form that your doctor prescribed. Keep in mind that even if the amount of amoxicillin in the tablet is the same, the strength of the clavulanate potassium can vary. If you do not follow your doctor’s directions exactly, the medication may not give the same results and can even cause harm. Even if your symptoms begin to improve, you must take Amox TR-K CLV for the entire prescribed length. If you skip a dose you will increase the risk of developing future infections that are antibiotic-resistant. You should always take it with a full cup of water and with a meal to avoid an upset stomach. In addition, always take the medication at the same time every day. If it is a regular tablet or extended release, never chew or crush it but swallow it whole while chew it completely before swallowing if chewable. If you cannot swallow it whole, break it in half, taking both parts at once. If you still cannot swallow it, ask for a different form. If you have the liquid form of the medication, shake it well before measuring the dose and always used a marked medicine cup or measuring spoon.